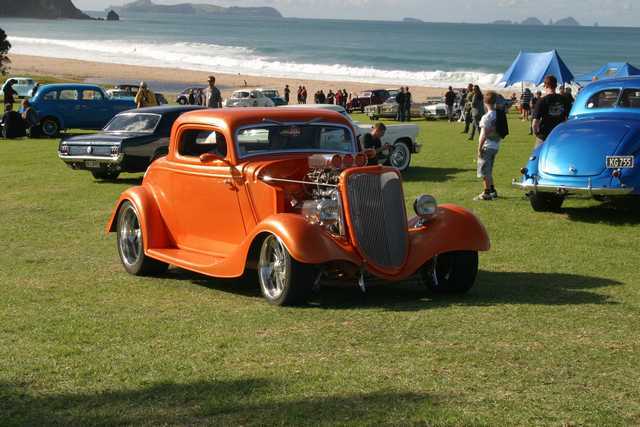 Held in the popular seaside holiday resort of Whangamata, the fun never stops with music, kulture, fashion, more music, hot rods, motorbikes, dancing, dragsters, scooters of this golden era. With 100,000 people attending, this is one of the largest events of its kind in the world! Then just to top it off, all proceeds raised are donated to emergency services in the area. 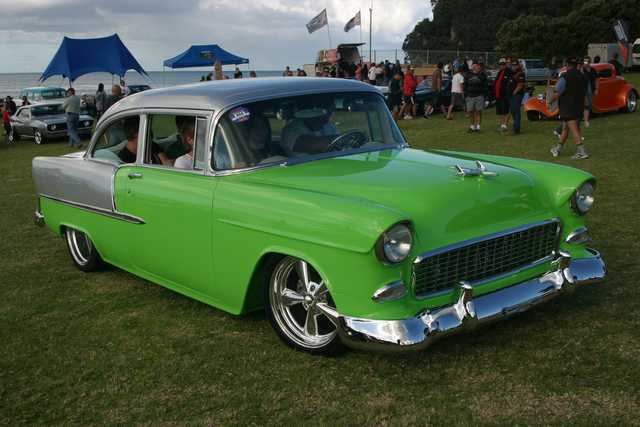 Hot August Nights is a “sister” festival so a crew from the Beach Hop will be flying to undertake an exciting challenge. They’ll be arriving at the swapmeet with just their bare hands. 24 hours later they will have built a Hot Rod that they can drive away using parts and tools purchased at Swapmeet. It won’t be a show car and will be traditionally styled. Who knows what they will come up with….. The entire build up will be filmed for a 30 minute documentary on Fox Sports. Following Hot August Nights the crew will work with a local Hot Rod Shop to get the car ready for a run on the Bonneville Salt Flats during Speed Week. They’re not after a record, just want to experience what it is like to drive a car at the holy grail of land speed racing. Next up, they’re heading for the HAMB Drags at MOKAN for some tire frying action. The Krazy Kiwis will then take the car on a road trip back to California visiting every Car Show they can. 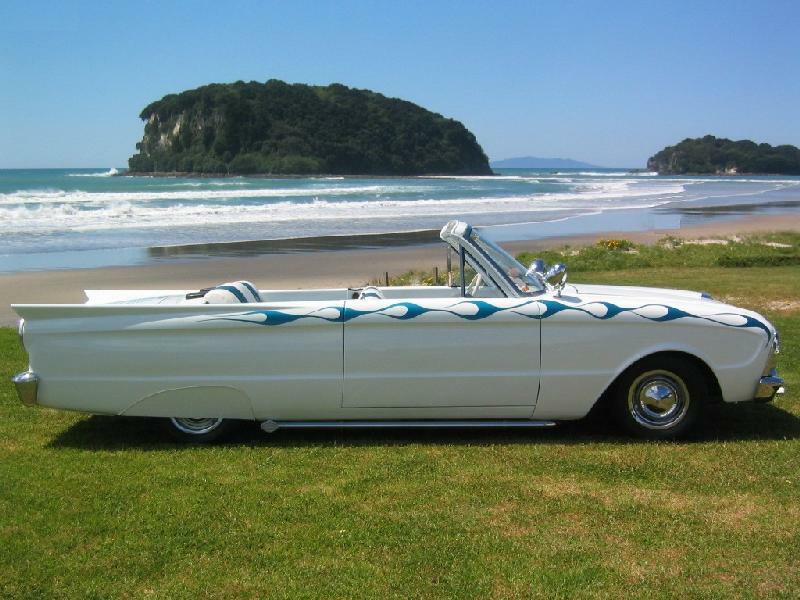 The car will then be shipped to New Zealand where it will be auctioned live on the internet at Beach Hop 09 (26-29 March). So keep an I out for these Kiwis and make sure you say hello – they are a real friendly bunch! Look for a follow up to this story as soon as I can get one. Thanks for the lead Noddy and good luck building a car in 24 hours! Show us the “Down Under” cars we don’t have! 2.5% of the population went? you know that SCREAMS dedication. How cool is that, I love the green on that ride.